Tammam Azzam is participating in Gangwon International Biennale 2018, previously PyeongChang Biennale, in Chuncheon, South Korea. The Biennale, entitled The Dictionary of Evil focuses on historical, political, and social issues that have taken place in the past 100 years. Azzam is participating with large paintings from his Storeys series. 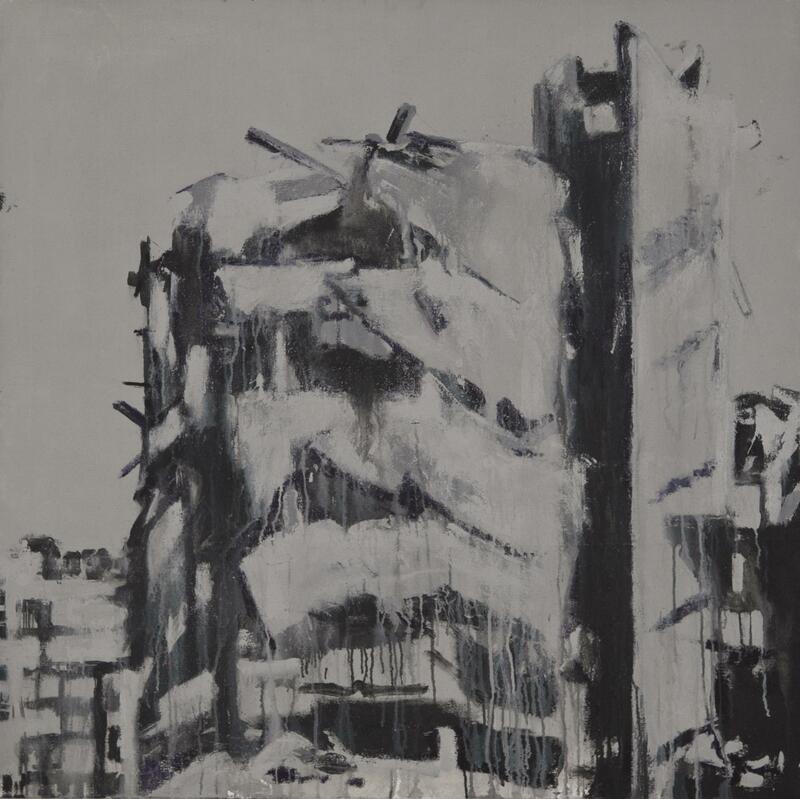 A series of monumental works on canvas, the works communicate the magnitude of devastation experienced across his native country through expressionist compositions of destroyed cityscapes. Chronicling the current state of his homeland, Azzam delves into a cathartic exercise of reconstruction, storey by storey. Tammam Azzam is presented alongside other leading artists including Walid Raad, Wael Shawky, and Akram Zaatari, highlighting Arab contemporary art included in the Biennale.